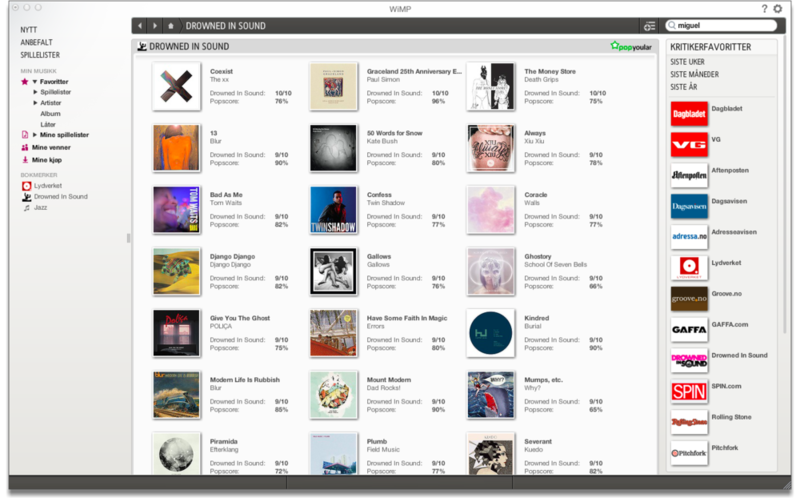 Today, Norwegian WiMP users will be updated to a brand, spanking new WiMP desktop client. Completely rebuilt and rethought from the ground up, this is one massive update from the Oslo-based team. Do we like it? We love it! Long-time Popyoular followers know that we've been working closely with WiMP for longer than with any other partner. This time, we're truly stoked about how the WiMP team has further refined and expanded the Popyoular functionality in the new client. We're posting some screenshots here to illustrate some of the changes and additions. The "Recommended" section is now much expanded and divided into several different parts. Apart from the reworked frontpage, this is where you really grasp how much effort WiMP is putting into helping you discover more music. 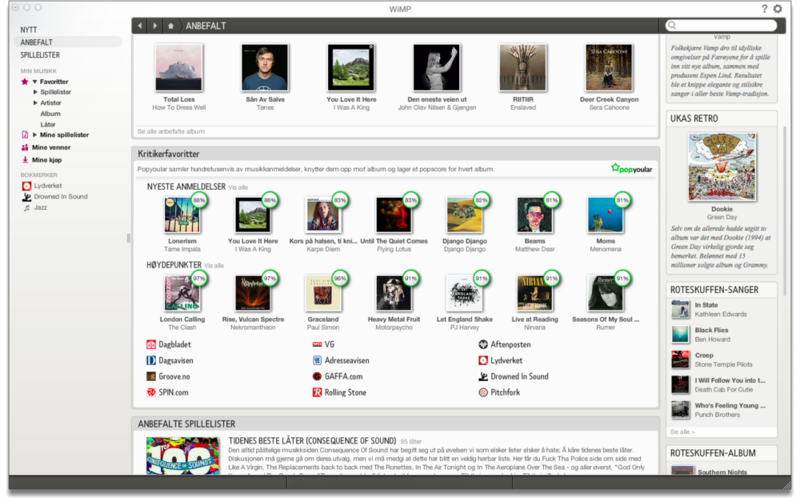 We've selected the brand new "Critic's Picks" part, built entirely around Popyoular functionality. With recent highlights, all-time favorites and shortcuts to source-specific toplists this is a great way to use Popyoular's capabilities. The source-specific toplists help you discover what your favorite sources are recommending. A cool new WiMP-feature even lets you keep these for easy access: Use the bookmarking function just to the left of the search box, and a shortcut to this toplist is placed in the permanent left menu in the client. Album pages have been completely reworked, too, and apart from all the other improvements the review information from Popyoular has been updated and improved, with much better visibility for quotes. Of course, there's a huge number of other new features and improvements for all the WiMP users out there, but we'll leave it to the WiMP team to tell you more about that. Congratulations to the WiMP team on an extremely impressive new client!